Join us for a discussion of the best selling novel The Sun Is Also a Star ahead of the release of its movie adaptation on May 17! 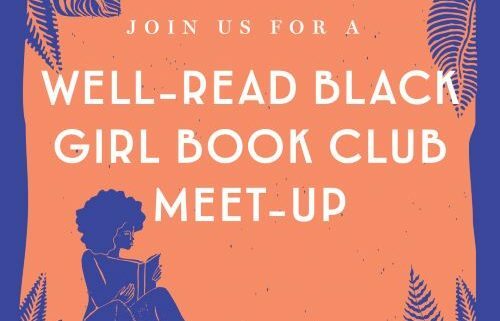 The AAMI/Next Page Books Well-Read Black Girl book club will kick off with a discussion of Nicola Yoon’s 2016 best seller, The Sun Is Also a Star. This novel explores the relationship between Natasha, a girl facing the looming prospect of her family’s deportation, “who believes in science and facts,” and Daniel, a boy who strives to be “the good son, the good student, living up to my parents’ high expectations.” Over the course of a single day the two meet and start to fall in love. The Sun is Also a Star “[t]ranscends the limits of YA as a human story about falling in love and seeking out our futures” (POPSUGAR.com), making this an ideal book for teens and adults alike. This is a free event open to the public, but registration is requested to help us plan for space and refreshments. Get a 20% off discount on The Sun is Also a Star at Next Page Books when you present your registration confirmation. The Well-Read Black Girl movement started as an Instagram account created by author Glory Edim and has grown into a thriving online community and Brooklyn-based festival celebrating the literary contributions of black women. The AAMI book club will meet monthly to discuss selected books by women of color. Book selections will range in genre and theme and will be available to purchase at Next Page Books.